We have been sent our latest Parragon Book buddy set. Much excitement from Bubba as it's all about Dinosaurs. "Ah me love all these things" bubba aged 2 (almost three). Although these books are aimed at older children (6+), Bubba got stuck in straight away with the stickers and I explained what we needed to do and where each one should go. We spent a good 30 minutes talking about it and sticking away. 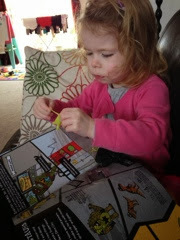 She also likes the stretchy dinosaur that comes with the book. "Me lucky, me love my new toy" whilst stretching the green stretchy dinosaur. The story behind these books are focused on four young dinosaurs with superpowers and they have to protect 'New Dino City'. 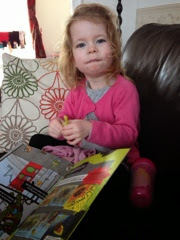 There is a range of books from stickers and colouring to a doodle book. 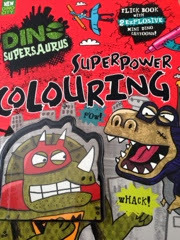 There is more of the range available at: www.dinosupersaurus.com and can be purchased from the main retailers.